Selling your house can be a confusing, lengthy and daunting process. There are so many moving parts involved in the process that it can often feel overwhelming, especially if you’re new to the whole thing. Choosing the estate agent to sell your house is one of the most crucial decisions you could make. It affects how quickly your house will sell, how long it will take, how stressful it will be and, most importantly, whether they get the best price for your home. To make sure you choose the right estate agent, here are 5 key questions you should ask everyone you talk to. Whether it’s a buyer’s or a seller’s market, the simple matter is that if you don’t market your home properly, it won’t sell. If you don’t ask how your agent plans to market your home, you could end up with some long delays in the process. Before you choose your agent, ask them how they plan to market your home to the greatest number of potential buyers. Will they list on property portals, contact their buyers list or hold an open house? At Northwood, we create tailored property listings to be displayed on our own websites (which generate over 120,000 visitors each month) as well as multiple property portals, social media, newspaper advertising, window displays, email marketing and striking For-Sale boards. Selling your house is by no means a simple process and can be quite stressful, especially when things go wrong, so you need to know that your agent will stay in touch with you and keep you in the loop every step of the way. Discuss with your agent how they will communicate with you, and how regularly. This will vary depending on your personal preferences, so it should always be tailored to your approach. Will they be calling you once a week with an update? Or emailing you with every prospective viewing and offer? Making sure you get an understanding up front of what to expect in the way of communication, and you can save yourself a lot of frustration in the long run. Depending on the agent, you may find that they will be representing both the buying and the selling side of the transaction. While this is not unusual or bad – it is something you should be aware of. 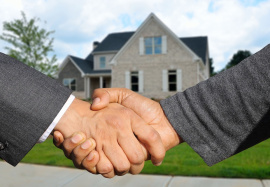 After all, what happens if your agent ends up representing both you as the seller and your buyer? Although it isn’t automatically a conflict of interest, that situation can get very sticky, and many clients end up feeling like they don’t know whose interests the agent is really looking out for. There is no one-size-fits-all answer to this question, so you need to go on your gut here. Be open with your concerns, discuss them with your agent and only proceed if you are happy with the answers. What Do You Know About Mortgages and Loans? It’s a really valuable thing to find an agent who has a solid grasp of the mortgage system and other home financing issues, because these can really make or break a purchase. For an agent to sell your home smoothly, you need a buyer with a reliable lender to secure the mortgage for them. If you find a buyer affiliated with a distrustful lender or who shows some red flags, this could lead to the purchase falling through. But even if this should happen, a good agent will be financially fluent enough to salvage the deal with a quality lender. So, to make sure you get a final sale, and not a lot of offers that fall through, make sure your agent knows about mortgages. Can I See Your Stats? Now this one isn’t essential, but it’s always a good idea to make sure you ask to see an agents selling stats. You don’t need to go deep into the woods with this – there are 2 stats that will tell you everything you need to know. First, check their list-to-price ratio, which is basically the final sale price divided by the most recent listing price, expressed as a percentage. If that percentage is less than 100%, the agent’s homes sell for less than their list price and they may be over-valuing to get the business. This gives you a great insight into how reliable the agents valuations are and allows you to discard the ones who list at a high price only to get the instruction, then reduce the price after 2 months or so to get the sale. For those that want to lock you in, you might also ask how long their lock-in is for, and why they need so long if they are good at their job. Second, ask to see how long their listings stay on the market. The average days on the market figure reflects the agent’s ability to price and market appropriately. Of course, the average list time will vary depending on where in the country you are, so bear this in mind. At Northwood, we welcome any and all questions you might have for us. Our Reading and Newbury branch is just one of 88 Northwood branches across the UK, each one filled with experienced property experts working for you to get you the best price for your home. 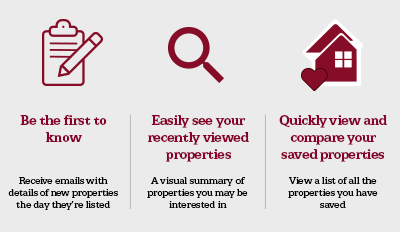 For more information about selling your home with Northwood, visit our website or get in touch with one of our Proper Property People today.